By 1992, even the most loyal and optimistic Yankee fans were wondering if our favorite baseball team would ever be winners again. George Steinbrenner had gotten himself suspended for life but not before he presided over the disembowelment of his ball club. The Stump Merrill era had just ended and somebody named Buck Showalter was now skippering the club. Melido Perez was the ace of Buck’s pitching staff that year,which should tell you just how bad that staff was. It was clear to me that if the Yankees were ever going to be contenders again, the team had to find some special arms. Unfortunately, Militello’s brilliance did not last. He lost his next three decisions and was then shelved for the remainder of the ’92 season with a tired arm. He bounced back with a strong spring training performance and the Yanks brought him north to start the ’93 season. After his first three regular season appearances however, his ERA was near seven and he couldn’t get the ball over the plate. The Yanks sent him down at the end of April. 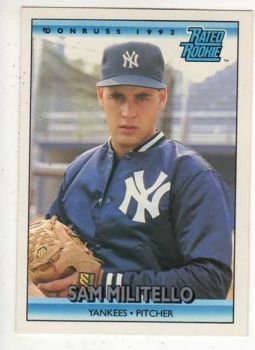 It was his inability to throw strikes and a series of arm injuries that prevented Militello from ever again throwing a pitch in the big leagues. 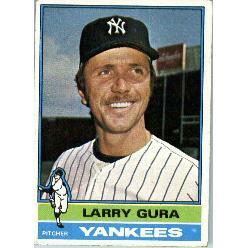 He shares his birthday with this Yankee Hall of Famer, this former starting pitcher and this one-time Yankee reliever. 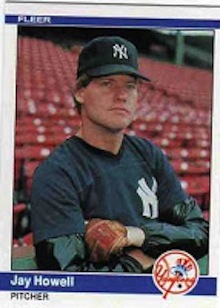 After the Yankees acquired Jay Howell in a nondescript player-to-be-named-later transaction with the Cubs in 1982, they converted him into a full-time reliever and over the next three seasons, he evolved into the primary set-up guy for closer Dave Righetti. By 1984, he had mastered that role, going 9-4 with a 2.69 ERA that year and even getting 7 saves in situations when “Rags” needed a break. He also loved the intensity of pitching in Yankee Stadium and living in New York. I expected him to be a Yankee for quite awhile and remember even wondering if the organization might consider turning him back into a starter down the road. That option became moot during the 1984 offseason, when New York traded Howell along with Jose Rijo, Tim Birtsas, Stan Javier, and Eric Plunk to the A’s for superstar Ricky Henderson. I absolutely loved the deal when it was made because at the time, the Yankees had failed to make postseason play for three consecutive years and putting Henderson in front of Don Mattingly and Dave Winfield in the Yankee lineup seemed like a certain recipe for success offensively and it was. But even though Henderson had some great years in pinstripes, he couldn’t put the team over the top. Meanwhile, the loss of Howell and Rijo would come back to bite New York in the rear end by the late 1980’s, when the Yankees pitching quality had plummeted and both these guys became All Stars and won rings with new teams. Howell was the closer for the 1988 Dodger team that won the World Series over the A’s. In that same year’s NLCS versus the Mets, the Miami, FL native was forced to serve an embarrassing two-game suspension after the umps found pine tar inside his glove during a Game 3 inspection. Howell pitched in the big leagues until 1994, finishing his fifteen-year career with a 58-53 record and 155 saves. He then coached at the college level for the next ten years. 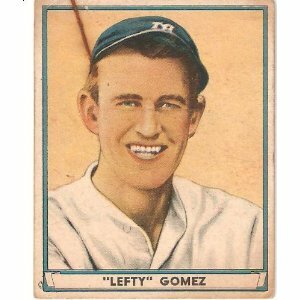 Howell shares his November 26th birthday with this Hall-of-Fame Yankee pitcher, this almost-a-phee-nom and another hurler who became a star after being traded by New York to the the Kansas City Royals. Missing the playoffs for the first time in thirteen years was certainly not the right way to close down the old Yankee Stadium. And since it was evident that George Steinbrenner was not calling the shots any more, we Yankee fans were left to wonder how his heirs would react to the failure. Within a few short postseason months we had our answer. We got Sabathia, we got Burnett and then we got Teixeira. It was powerful three part testimony that even though there had been a changing of the guard at the top, the Yankees were still in it to win it regardless of cost. So why I asked myself were we starting the 2009 season with a guy named Nick Swisher as our starting right fielder? Since I had been a kid, the Yankees were most successful when they had studs playing right field. Roger Maris from 1960-’64, Reggie from ’77-’81, O’Neill from ’93-2001 and then Sheffield and Abreu. These guys were all third-in-the-lineup type hitters who could carry a team on their backs for long stretches. Nick Swisher was simply not that type of player. Fortunately, he did not have to be. The 2009 Yankees’ offense was designed to be generated by its $100,000,000 infield. Throw in the rejuvenated starting pitching staff and the cutter-throwing legend in the bullpen and Brian Cashman was figuring he could play Luis Polonia in right field and still make fall ball happen in the new Yankee Stadium that October. New York had traded for Swisher in November of 2008, sending Wilson Betemit and two pitching prospects to the White Sox in exchange for the then 28-year-old switch-hitter. The deal took place before New York decided to go hard after Teixeira and their original intent was to play “Swish” at first base. Once they signed “Tex,” Swisher became part of that year’s outfield mix which included the veteran Johnny Damon, Melky Cabrera and the youngster, Brett Gardner. Fortunately for Swisher, he started the 2009 season on fire, averaging over .400 with four home runs just two weeks into the season. And although his bat cooled off, his defense, hustle, and clubhouse charisma helped keep him in the lineup and he ended up playing a pivotal role in that glorious 2009 Yankee championship run. He followed that first season in pinstripes up with a great regular season performance in 2010, hitting a career high .288 with 29 home runs and 89 runs batted in. Then for the second straight season, Swisher’s bat pretty much went silent in the postseason, especially against Texas in the 2010 ALCS. After another solid regular season performance in 2011, Swisher’s postseason blues continued against the Tigers that year as well, when he hit just .211 and failed to deliver at some critical moments with runners in scoring position. Swisher began his final year in New York knowing that no matter how well he did during the regular season, he needed to produce in October if he was to have any chance of securing a lucrative long-term deal with the Yankees. He went out and had arguably his finest year in pinstripes but then joined just about the entire Bronx Bomber lineup in another postseason offensive hibernation. The pressure of failing to produce in the fall finally permeated Swisher’s always cheery and optimistic exterior. After being booed at home during the Tiger series, he took his frustration out by criticizing Yankee fans when questioned by reporters after the game. As I see it, Swisher was a gigantic plus for New York during his four years there and his acquisition should be considered one of the better deals in franchise history. He played above expectation from the moment he put on the pinstripes and even though he struggled in October, he helped New York get to four straight postseasons. Its also worth noting that without Swisher, New York missed the playoffs in 2013 while his new team, the Indians did not. He shares a birthday with this outfielder, this infielder and this other outfielder.